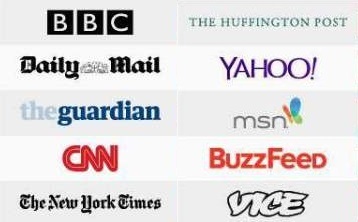 Digital-focussed media companies like The Huffington Post and BuzzFeed are threatening the dominance of traditional online news organisations like the BBC and CNN, a new report has found. The study, from the Reuters Institute Digital News Report 2015 indicates that while the proportion of people in the UK watching scheduled TV news bulletins and programmes has dropped from 69% to 62% in just two years. Among people aged under 45, the drop in those viewing TV bulletins is more extreme: from 56% to 46% since 2013. The report found that the internet and TV are the most common way to access news around the world, while reading printed newspapers has declined significantly. Meanwhile, social media is rocketing as a news source: "We see an intensifying battle for global audiences online involving new players like The Huffington Post and Buzzfeed, expanding global newspapers like the Guardian and New York Times and old stalwarts including the BBC and CNN," the report said. 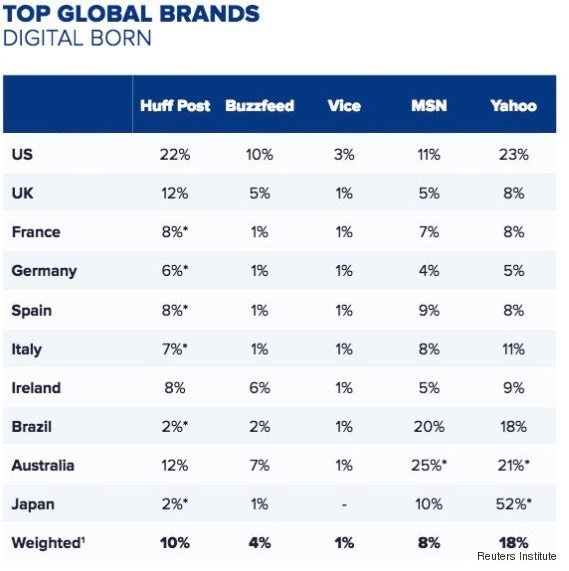 According to the research Yahoo is the most frequently visited online news brand at 18 per cent, thanks to a strong showing in Japan, followed by the Huffington Post on 10 per cent. The BBC and MSN were left to fight it out for first place on 8 per cent each. 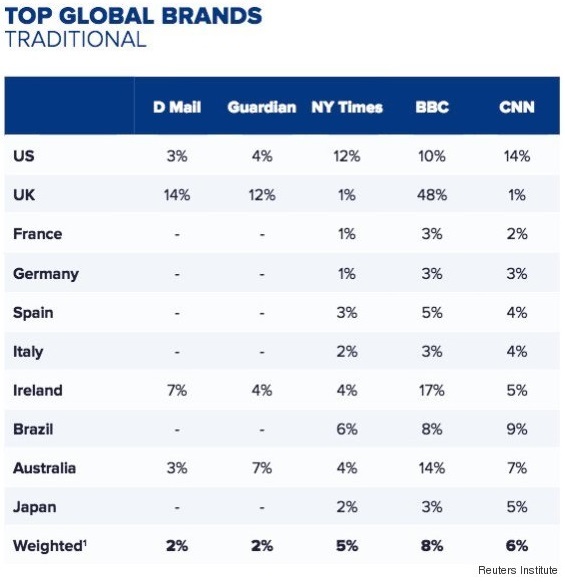 In the UK specifically the BBC topped the scales with 48% of those surveyed accessing BBC News online; this was followed by the Daily Mail on 14% while HuffPost and the Guardian were elevel on 12% each.